Here are just a few images I’ve had sat on my desktop for inspiration whilst redecorating. I knew what I wanted really, just simple white and clean with plenty of soft furnishings in different textures to create warmth. I used colour to separate areas – lilac and mauve on the bed and fuchsia in the little office area. My main aim was to keep it uncluttered and let the clothes do the talking, it is more of a dressing room with a bed shoved in the middle than an actual bedroom. But I like to be able to see all my clothes and accessories, I’m still dreaming of a room where I can have all my shoes out on display but have had to make do with just a few pairs for now. I think I will go back to the old Polaroid idea of having photo’s on the front of the boxes though, I used to do that and but it lapsed. I’ve also posted some of my favourite celebrity closets on my Tumblr Fashion Pearls of Wisdom Extra – no I didn’t Pin anything, geez who has time for yet another social media! You would be forgiven for thinking that menswear is plain, formal and a tad stale. 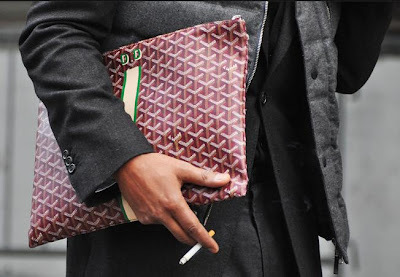 Given the fact you can count on one hand the number of men you see on the street in cutting edge fashion. Of course there are the true classically stylish gents, think Tom Ford, who believes shorts should never be worn. The men who head to Saville Row, the laid back chic Italian men ooze, the old school gentry to traditional Scottish dress. What is exciting now however, are the men who have the age old rules of style and yet are adding fashion forward variations into the mix. Monogramming a classic leather briefcase is nothing new, however adding clashing colours and a sleek pouch design gives a fresh new approach. Denim shirts, the corner stone of the Texan tuxedo, have been a long time dated, yet a bleached shirt looks uber modern especially with the style perennials of a navy suit and trench. 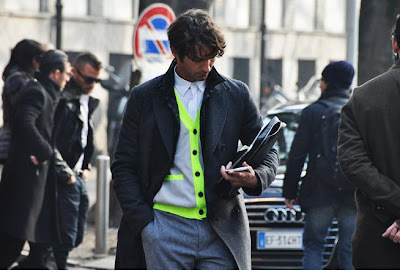 Women’s fashion magazines are screaming neon is the thing this season thanks to Christopher Kane and Co, yet it works even better for men. 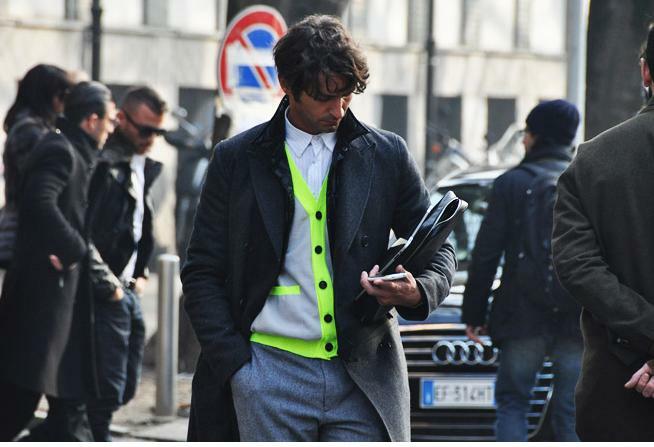 A simple grey cardigan with neon yellow edging screams fashion yet paired with classic tailoring is kept chic. 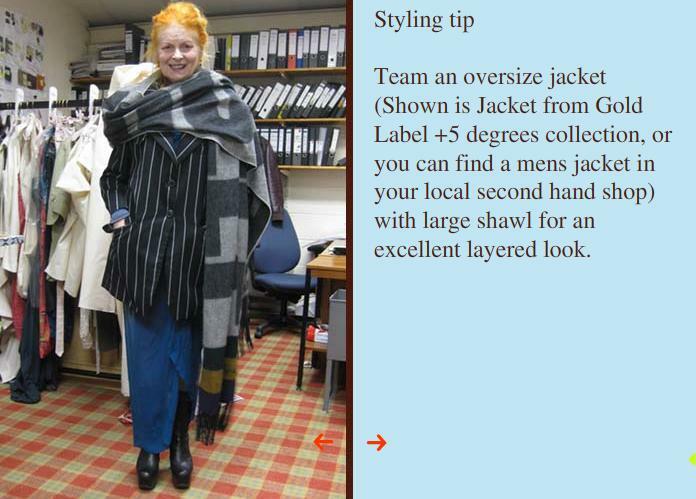 Sticking with the menswear theme this week I thought this was such a great tip from Vivienne Westwood. Many of her designs and ways of styling are unisex and there is such a strong male/female mix up on the runways at the moment. Not just the ladies stealing the menswear but also vice-versa. A nice warm oversized scarf with a blazer sounds the perfect anecdote to me for this awful transeasonal weather. Prada S/S11 Fur Stole: Real or Faux Questions? Here we go some photos of the Prada S/S11 scarf / stole, they are crap I know, I have found when you really don’t want to have your photo taken it shows through no matter how hard you try. I am sure I will get some better photos when I am feeling better. But this is what I wore to erm go to the post office ha! So because I am a bit obsessed with these scarfs here are some familiar faces to show you how it is done. I do wonder whether Miucchia gave official permission to wear them as scarves and not just strut around carrying them?? Real or Faux debate: How about the price? My friend Aimee asked me a rather philosophical question this morning, why did Prada make the scarves in faux and real fur? I have to admit I too found it a surprise that they had. We both agreed that the reason is not likely to be Prada suddenly feeling the need to consider those who do not agree with real fur, rather the reason being the price points. The real fur cost ┬ú2995 whilst the faux ┬ú230, big difference. Yet huge fashion companies like Prada rarely feel the need to offer lower priced items from the catwalk collections, people will pay thousands, that is a fact. 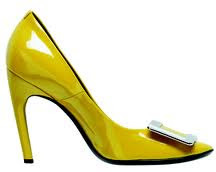 If you want to buy into the brand on a lower budget there are perfumes, sunglasses and even shoes. Aimee also wondered by buying faux (she was thinking of getting a faux fur coat), would the fashion world judge her as only buying faux because she couldn’t afford real, regardless of the ethical factor? I said that since she wasn’t going to be paying the Vogue offices regular visits it wasn’t something she should really be worrying about. Besides you can pick up vintage real furs so cheaply these days, is real fur even as much of a status symbol any more? 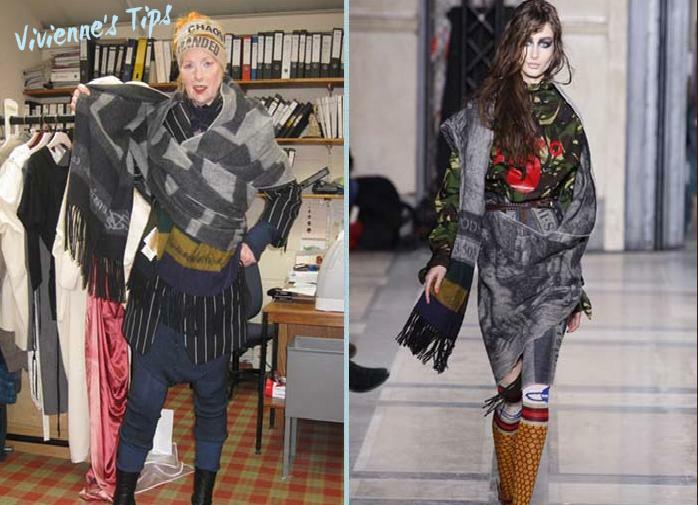 Going back to the Prada scarves the faux are very similar to the real, infact most people wouldn’t be able to tell the difference until they touched it. Perhaps this is why they made the real ones have stripes and the faux block colours so those who needed people to know the difference did. I noticed all the celebs photo’ed have real fur, except Anna Dello Russo who seems to have all the real and all the faux in every possible colour way, but she is ADR and that’s a whole different matter. For the record I do not agree with the use of real fur, but that is not what I want to get into a debate about here. My question is why Prada would produce both? Did Miucchia mearly want to open up the scarves to the more mainstream fashionista? But lets face it they are still expensive, we are not talking about ┬ú10 from Topshop. Or did Prada want to give people the option of both real and faux, since luxury faux furs have been very popular lately, think Chanel A/W11. All I know is that I seriously LOVE this scarf, in fact I realised pretty much everything Prada I own is furry and in most cases a ridiculus colour, Miucchica you rock! PS. The winnder of the Gift Voucher giveaway for www.shopstreetstyle.com will be contacted today via the method they left in their entry. If you do not respond within 48hours another name will be drawn. I just received the promo from the new Chanel campaign featuring Blake Lively. Beautifully shot as always but I have to say I am not a fan. The Chanel girls of past like Vanessa Paradis and Kiera Knightly always had an alluring quality to them but I just don’ t feel that with Blake, beautiful as she is. I am also quite put off my her overly airbrushednes (just look at that arm, lower left). Hmm maybe it is because I never liked Gossip Girl! 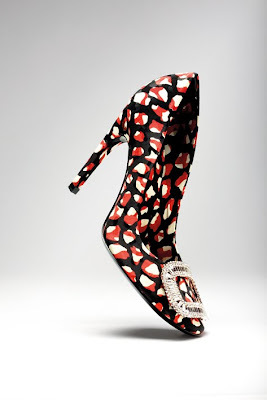 I have a new obsession, have you seen these Belle de Nuit shoes from Roger Vivier!!! 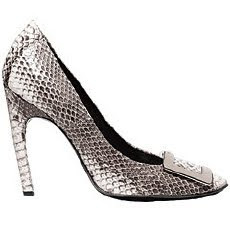 Roger Vivier, the inventor or the stiletto heel – oh yes in 1954 he was the first to use a thin rod of steel to create what we now know as the stiletto. High heel were around in the 19th century, but not as the true stiletto, named after the Italian knife with a long slim blade. He worked with many famous designers such as Dior, Schiaparelli and Yves St Laurent. 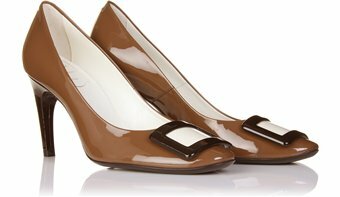 Vivier was also the first designer to use clear plastic for shoes as early as the 1940’s and popularised thigh-high boots in the 1960’s – a style that had previously been deemed too risque. The label is now designed by Bruno Frisoni, who is keeping the house under good order, creating the Belle de Nuit’s platformed sister the Limelight. Anyway what more can I say that feast your eyes on these beauties! They come in many different colours but I love the printed ones best. Continuing from yesterdays post here are two other images I have had on my desk top for inspiration. Gabrielle ‘Coco’ Chanel I imagine is quoted by many as a great source of inspiration, but if you look beyond her incredible creations, her inimitable style and much publicised love affairs you have a woman who had nothing yet created an empire. I do not think there is anything more inspirational than that, you can see the determination always in her eyes. 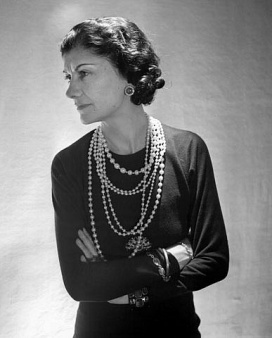 Chanel cut off her hair as it ‘got in her way’, she wore stacks of jewels because she so pleased. 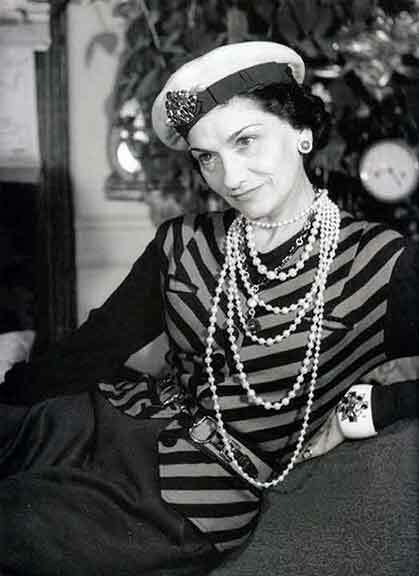 She is often misquoted as saying ‘A woman should always remove the last accessory she puts on’ I think anyone who knows anything about Chanel would know these are not her words. I admire her indifference! I have been feeling a bit out of sorts lately, I can’t seem to get on with any of my clothes, my make-up feels like a mask and my hair can’t be tamed. I feel like a need a sudden shake up, a fresh restyle. 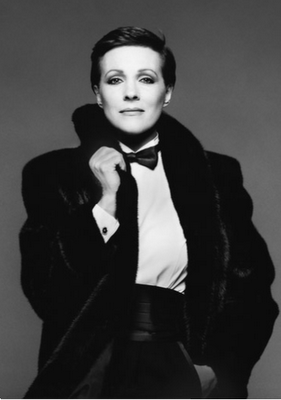 I have had this image of Julie Andrews on my desk top for a while now, she has been my inspiration. Who would have thought anyone could go from Mary Poppins to this androgynous, mysterious, lady with a glint in her eye. Quite the transformation. Have You Seen This Trench? I must confess I have never found trenches particularly exciting, more a necessity. But I saw this trench in the Nine West advert and can’t stop obsessing over it. I have a lovely trench from Anthropology, but it is worn purely for function, this trench however is one of fashion needs. The length, cut, belt, shoulder flap, epaulets and colour are all perfect. 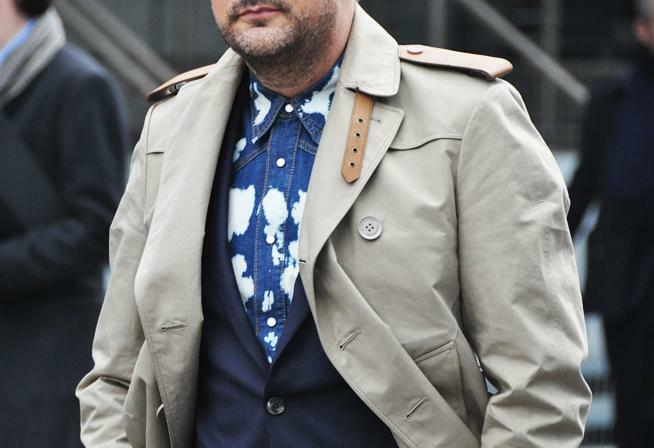 So all I need to know now is where exactly do I get a trench like that? ?